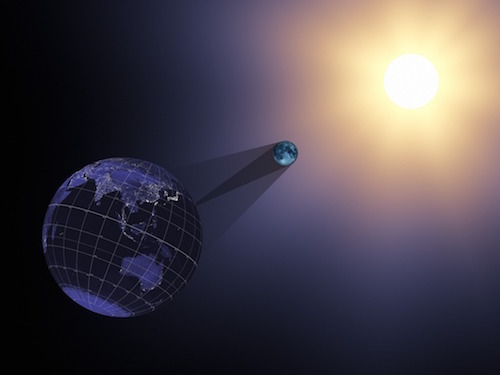 During a total solar eclipse, the moon passes between Earth and the sun. This completely blocks out the sun’s light. However, the moon is about 400 times smaller than the sun. How can it block all of that light? When objects are closer to us, they appear to be bigger than objects that are far away. For example, most stars in the night sky look like tiny white dots of light. In reality, many of those stars are larger than our sun—they are just much farther away from Earth! Even though the moon is 400 times smaller than the sun, it’s also about 400 times closer to Earth than the sun is. This means that from Earth, the moon and the sun appear to be roughly the same size in the sky. So, when the moon comes between Earth and the sun during a total solar eclipse, the moon appears to completely cover up the light from the sun. However, it won’t always be this way. 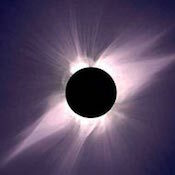 Total solar eclipses won’t be around forever! The moon’s orbit is changing. 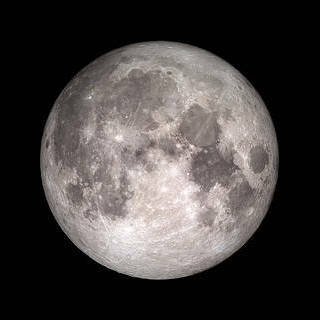 In fact, the moon’s orbit grows about 1.5 inches (3.8 cm) larger every year. As the moon’s orbit takes it farther and farther away from Earth, the moon will appear smaller and smaller in our sky. This occasionally happens now. The moon’s orbit isn’t perfectly round. That means that sometimes the moon is slightly farther away from Earth than it is at other times. Sometimes the moon is far enough away that it doesn’t create a total solar eclipse. In this case, the moon obscures most of the sun, but a thin ring of the sun remains visible around the moon. However, once the moon’s growing orbit takes it approximately 14,600 miles (23,496 km) away from Earth, it will always be too far away to completely cover the sun. That won’t happen for a long time though. If the moon’s orbit grows only 1.5 inches every year, it will take more than 600 million years for total solar eclipses to completely disappear! More about the sun and moon! 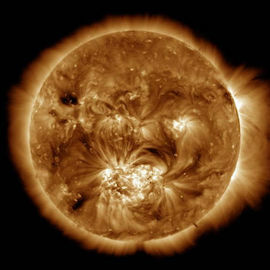 What is the sun’s corona? Previous Post Can we practice going to Mars in Mexico? Next Post Can we work together to grow food faster on Mars?